Bondi Beach Australia is renowned the world over for its sands and surf. It serves as a modern and trendy coastal resort, which is extremely popular. Bondi has several cafés and restaurants. These overlook the beach and make a wonderful place to stay and visit. The beach has an attractive parkland in the background, which serves as a point for relaxation, sports and brisk walking. The beach is a popular spot for rollerbladers, skaters, and cyclists. The beach promenade is fantastic and stretches along the coast around the headland. While you head toward the northern headland, you can see the Aboriginal sites of Sydney. There are some magnificent Aboriginal rock engravings within the golf course. This gives you an excuse to break from the game. Toward the southern headland, lies the splendid coastal walk that takes you through a number of smaller coves till you reach Coogee. This trip is worth the effort. The views offered are fabulous. Though the walk is strenuous and requires effort, it is rejuvenating and enjoyable. Campbell Parade comprises the ocean road, which has a plethora of cafés and shops. The atmosphere here is lively and busy at all times of the day. To the north of Campbell Parade, there is another market that offers great bargains. Bondi Beach Australia attracts visitors from all over the world, including Jewish and Italian communities, world travelers, and Aussie surfers. Learning to surf is a prerequisite for touring the waves. The beach has many outlets from where you can hire surf boards and boogie boards. Amateurs who know some moves can indulge in surfing. These outlets also have locker facilities that you use to keep your valuables while swimming. 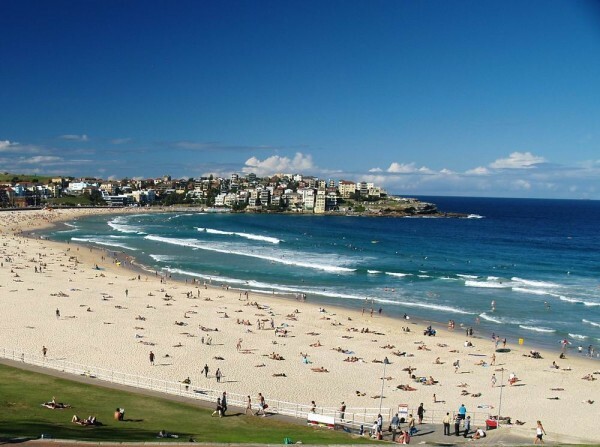 Travelers can reach Bondi Beach Australia from the centre of Sydney on buses 380 and 333 which are prepaid. Buses 382 and 389 will allow you to change buses at Bondi Junction. 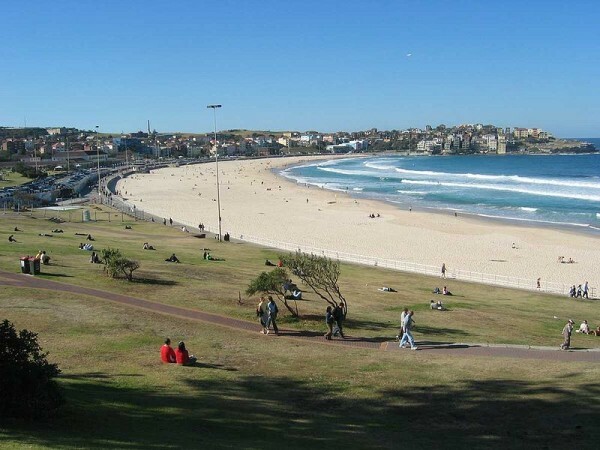 There is wide variety of accommodations in Bondi, including hostels, hotels, and bed and breakfast centers. The surfing opportunities range from very large waves to calm and quiet ones. The cycle is repeated from day to day. There are specific areas that are marked for board riding, body surfing, and swimming. There are two prominent rock pools at either end of the beach to ensure that the surf does not get too large for your enjoyment. There are plenty of quality restaurants and eateries. The nightlife is wonderful with hip pubs and clubs. The dress code is casual with t-shirts, sandals, and shorts. They are acceptable even in plush dining places. The Bondi Pavilion is home to entertainment and exhibitions. A wonderful coastal walk begins at the south end of the beach, offering splendid ocean views. 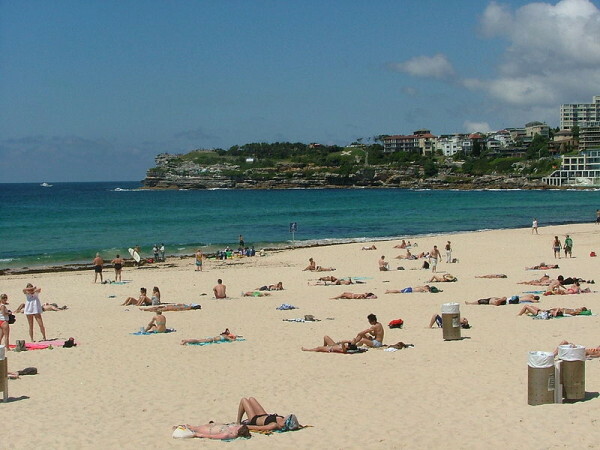 You also stand a chance of visiting smaller beaches on the way to Coogee Beach. Besides walking, there are regular bus services that take you to Bondi, Coogee, and the downtown area. Alternatively, get professional surfing tips from personal instructors.